Heartland Costumes - Theatrical Costumes for \"Beauty and the Beast\" and \"Little Mermaid\"
How to be successful with your fundraiser Sale! Heartland Costumes is a customer-focused and friendly supplier of beautiful rental costumes, props, and fundraisers. We are located in the “heart” of Illinois. Our centralized location and volume shipping discounts allow us to ship our products very reasonably throughout the USA. We pride ourselves in offering a fabulous product and friendly service at a fair price. 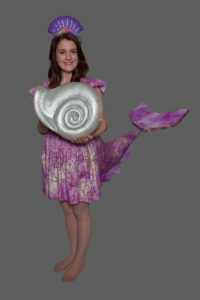 We specialize in only two shows: “Beauty and the Beast” and “The Little Mermaid”. We have costume packages for High School/Adult actors and costume packages for Middle Schools who are doing the Jr. Versions. 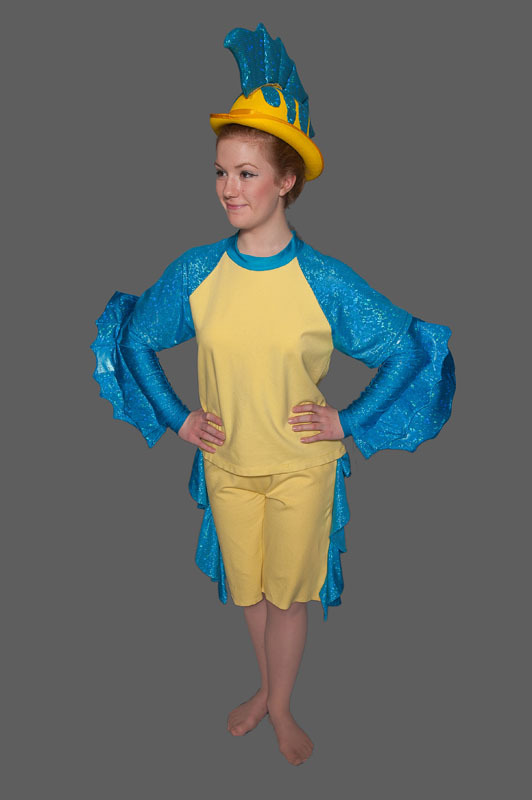 We recognize and incorporate costume requirements that are important to you– a great look, “Thquick changes, and affordability. We have costume rental packages for all budgets and all ages and have a variety of sizes for most characters. When you rent our costumes, you and your creative team will be free to put your human and financial resources into other aspects of your production, still knowing that when the curtain rises, your stage will positively shine! All of our props were custom-designed and built just for our clients! 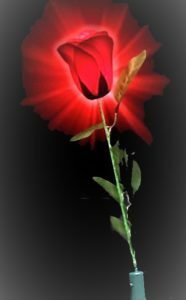 “Beauty and the Beast” must have the Enchanted Rose that drops its petals! 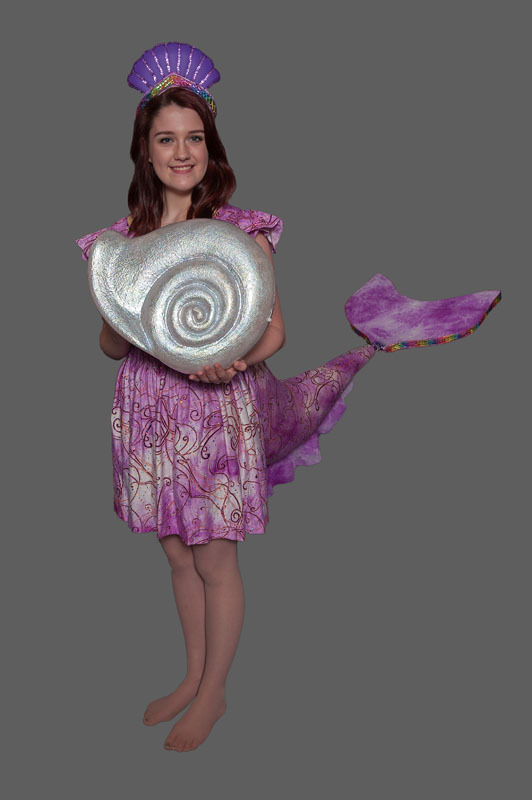 And how would Ariel get her voice back without a magical shell? Each year hundreds of organizations like yours earn money for their programs with our risk-free fundraiser/concession program. Our items coordinate perfectly with many musical theater titles and can be sold in the weeks before a show and at the theater before the show and during intermission. However, these items are perfect as a general fundraiser or in conjunction with non-theater events. Check out our fundraiser program here. I would be remiss if I did not mention our customer service. Our Client Manager, Kathy, does a ridiculously good job of communicating with clients, and our Shipping Manager, Kevin, never misses a beat. We receive the highest compliments on our customer service. You won’t find better anywhere. Rarely do things get wanky, but when they do, we make it right. If you have any interest or any questions, please contact us. We pride ourselves in offering a fabulous product and friendly service at a fair price. We’d love to have your business.